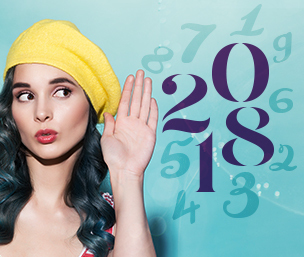 In Numerology, each single-digit number is seen as having its own unique personality; a range of attributes that is well defined and specific to that number. While there are certain character traits that are shared by multiple numbers, each number's complete personality is entirely unique and easy to recognize. For example, while the 6 and the 9 are both compassionate and self-sacrificing -- sharing some very humane and caring qualities -- they express those attributes in very different ways. The 6 is family- and community-oriented and its care and compassion is directed at people within the immediate circle of friends, family and neighbors. The 9, however, has a more global perspective and directs its sympathy and self-sacrificing potential toward people at large, without the need to know them personally. In fact, the 9 tends to be a bit aloof, if not distant, toward people close by, while the number 6 does not easily relate to people it doesn't know personally. Hence, when you see someone helping at the local food kitchen, that would be more in line with a 6, while the person involved in raising money to combat poverty in a country far away behaves more like a 9. Perhaps the most challenging aspect when learning Numerology is to recognize and understand the attitude and actions of a number within a particular environment or location of the chart, because just as human beings act different depending on the situation, so do numbers. In fact, a number may express itself in a positive way when found in one location of a Numerology chart, and in a negative way when located elsewhere in the chart. When someone starts to read books and look into other resources in an effort to learn the language of numbers, there is a tendency to simply become familiar with the attributes of numbers as they are usually listed. However, this objective, clinical approach that lists a bunch of traits as a way to define a number just does not take into account the subtle differences and flexible nature of even the most rigid features. This method might be helpful to get someone roughly familiar with a number's personality, but it is a long way from understanding the true nature of that number as it may appear in different places, environments, and so forth. It is for that reason that in my book Numerology; Key To Your Inner Self, I describe the qualities and attributes of each number every time I discuss a different aspect of the chart. I describe the implications of the number 1 when it appears as a Life Path number, than again as an Expression number, again as a Heart’s Desire number, again as a Personality number, and so forth throughout the personality profile part as well as the forecasting part of a Numerology chart. The hope is that reading and recognizing the subtle differences will help a student become familiar with each number with much more depth and understanding than by simply memorizing a bunch of traits. 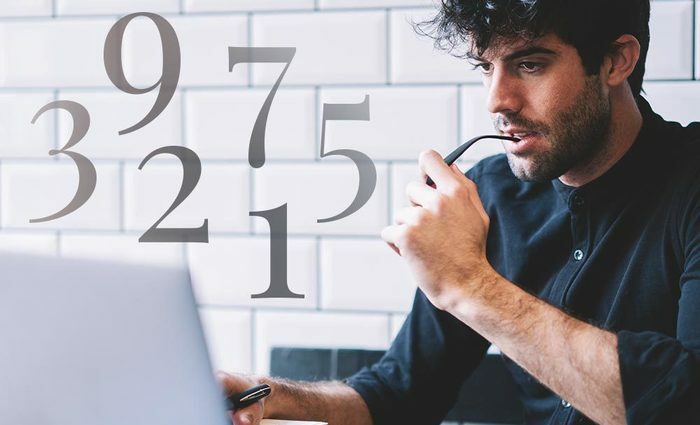 It takes time before an aspiring numerologist reaches a depth of knowledge that allows him or her to recognize the presence of a number simply by looking at a behavior and vice versa. The number 1, for example, is masculine, strong, aggressive, competitive, confrontational, goal-oriented, and so forth, while the number 2 is its opposite, as it is feminine, subtle, gentle, diplomatic, sensitive, cooperative and conciliatory, to name a few of its more obvious attributes. So when a person acts assertive, perhaps even bullish, you might conclude that the number 1 is probably dominant in that individual’s chart. Another person might behave more placidly, careful to keep the peace, to find common ground, and to be tactful, showing signs of a 2. By the same token, if you know a person has the number 1 dominant in a chart, when you place him or her in a combative environment you can pretty much predict that he or she will behave confrontationally, won’t back down, and will try to use verbal or physical force to win the argument, while the person with a 2 in their chart will try to find common ground, be tactful, and defuse the situation as peacefully as possible. Also, look at the shape of each number as it symbolizes (numbers are, by definition, symbols) its attitude. The 1, upright, unbending, in your face, and the number 2, humble, flexible, and resilient, almost as if it is on its knees and bowing down. But make no mistake that whereas the 1 is unbending, it will break under too much pressure, while the flexible 2, at times squashed by too much weight, will come right back up when the pressure lets off -- the survival qualities of the feminine 2 tend to outlast the stubborn, masculine 1.